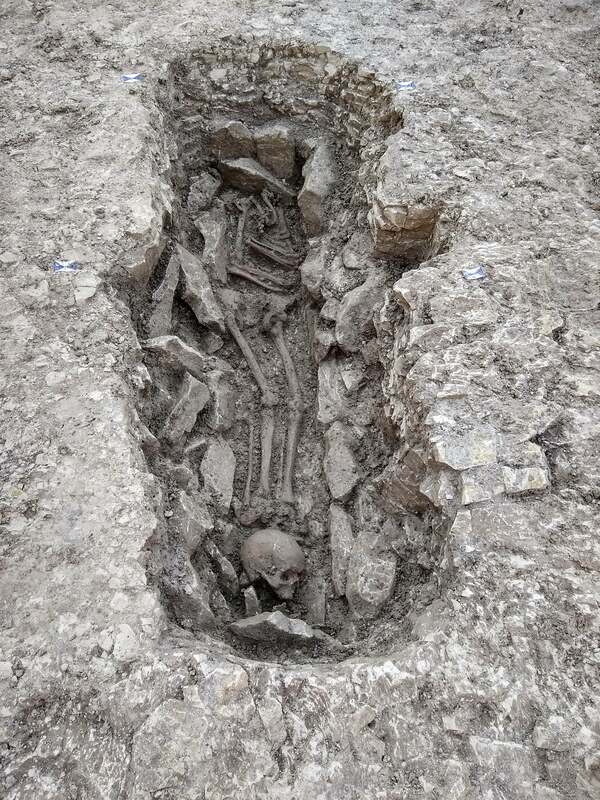 The Thames Water company was in the midst of a major pipe-laying project in Oxfordshire when its workers stumbled upon an ancient settlement and its associated graves. 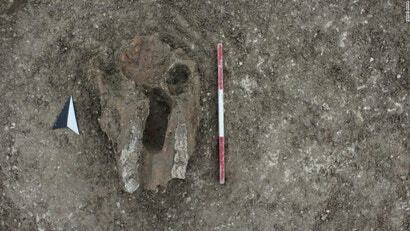 Experts from Cotswold Archaeology were called into investigate, according to a statement. The scientists pulled out various items, such as pottery, flint cutting tools, animal bones, a decorative comb — and no less than 26 skeletons. The site, known as Childrey Warren, is around 3,000 years old, dating back to England’s Iron Age and prior to the Roman conquest. On that last find, British archaeologists have seen this sort of thing before, including at a 1,700-year-old site in Suffolk, England, involving over 50 skeletons, some decapitated. The reasons behind this beheading practice aren’t fully understood, but in the case of the Suffolk skeletons, the heads were removed after death. Graves such as these are referred to as “deviant burials,” as they’re out of alignment with most graves left behind by a culture. To the people who participated in these practices, however, it’s fair to say they were not “deviant,” likely playing some sort of important role in the local tradition. 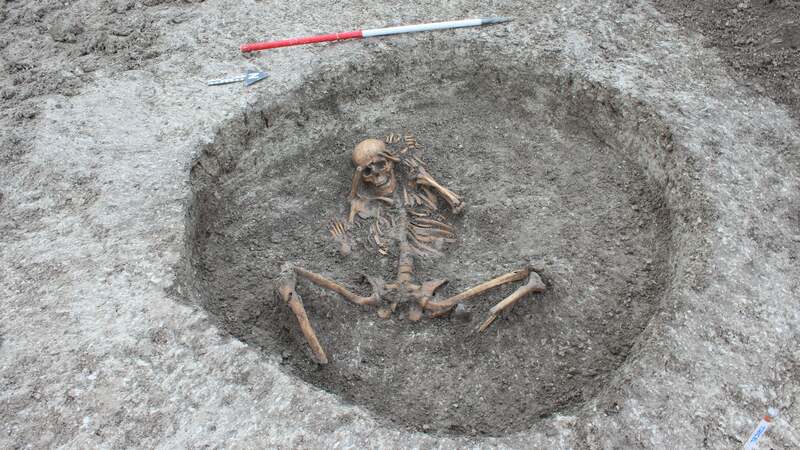 Further analysis of the remains pulled from the Oxfordshire site is needed for the archaeologists to reach more definitive conclusions about the circumstances behind the burials. 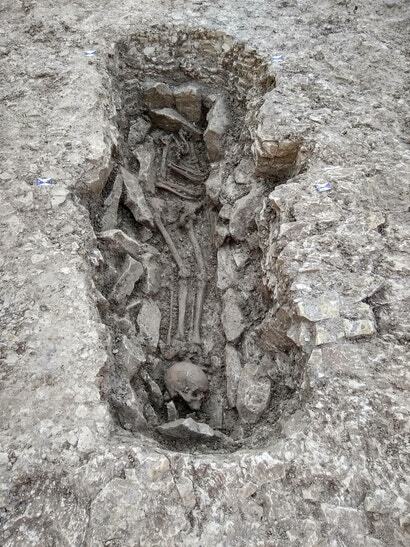 Yes, some of the remains may have been the result of ritual killings, but they could also be conventional executions. 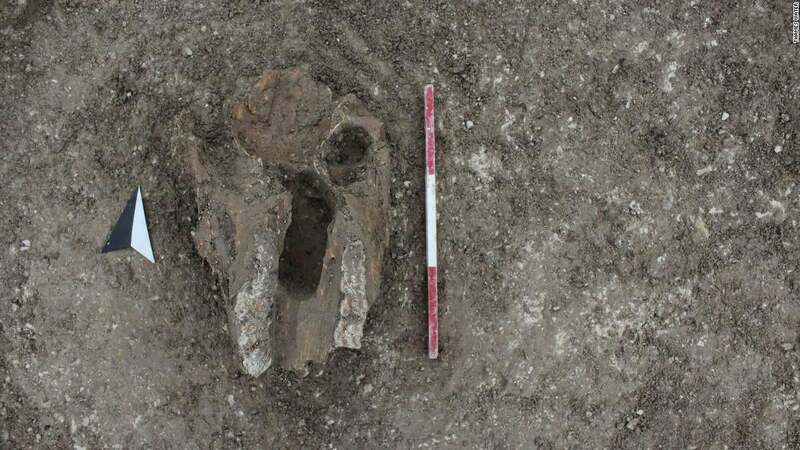 “The discovery challenges our perceptions about the past, and invites us to try to understand the beliefs of people who lived and died more than 2,000 years ago,” Neil Holbrook, chief executive of Cotswold Archaeology, said in a statement. Paolo Guarino, the Cotswold Archaeology project officer, said the findings present a unique opportunity to study a community primarily known for their monumental structures, including the Uffington White Horse, a stunning prehistoric chalk sculpture located on a nearby hill. “The results from the analysis of the artefacts, animal bones, the human skeletons and the soil samples will help us add some important information to the history of the communities that occupied these lands so many years ago,” said Guarino in the statement. Experts with Cotswold Archaeology have now removed all items from the Childrey Warren site, allowing construction work to continue. The researchers are now studying the artifacts and the remains in the lab, so we should learn more about this extraordinary discovery in the coming months and years.